FORMER MANCHESTER CITY and Celtic midfielder Willo Flood has been unveiled as a new signing by Dunfermline Athletic ahead of the new Scottish Championship season. The 33-year-old Dubliner moves to the Pars after a two-year, third spell with Dundee United. Flood, who represented Ireland up to U21 level and came through Manchester City’s academy, has agreed a one-year contract with the Scottish second tier side. Email “Dubliner Willo Flood moves to Dunfermline on one-year deal”. 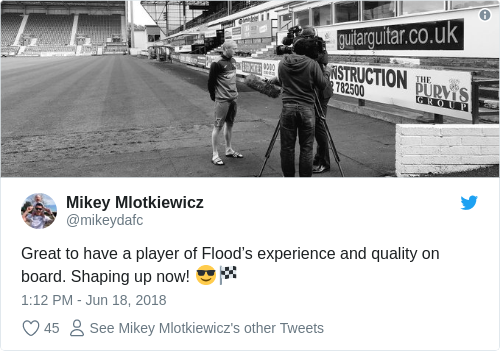 Feedback on “Dubliner Willo Flood moves to Dunfermline on one-year deal”.